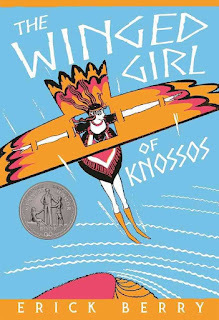 The Winged Girl of Knossos isn't actually a new book. It was written in 1933 by Erick Berry, pen name for Evangel Allena Champlin Best. 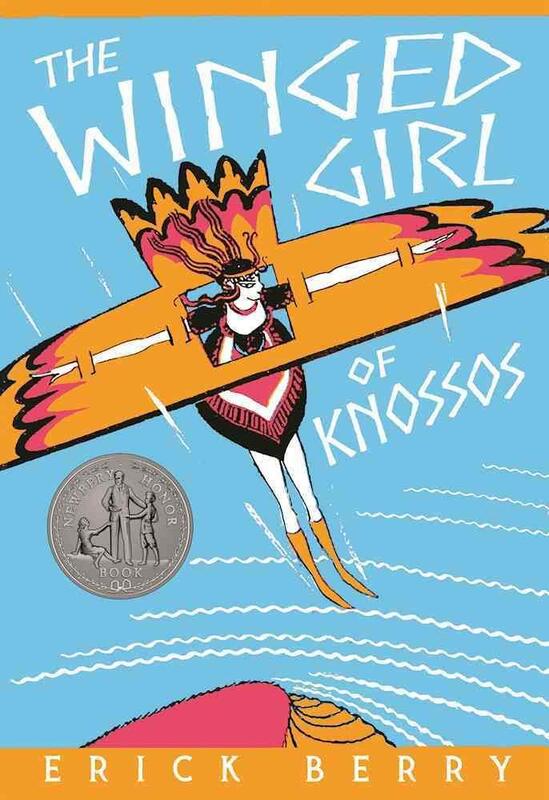 It was a Newbery Honor Book but was sadly out of print for many years. Thankfully, Paul Dry Books has reprinted it because I haven't been able to stop thinking about it since I finished reading it a couple of weeks ago. The "winged girl" is Inas, daughter of Daidalos. He is an inventor who longs to soar like the birds and she is an adventurer who does everything from sponge diving to bull jumping. Their home is ancient Crete, under the reign of King Minos. This story brings to life an era that time has turned into myth. Ariadne, the labyrinth and the minotaur, and Theseus are all real and they all have their places in Inas' tale. Not only did Berry use an impressive vocabulary but she knew the right amount of tension to keep readers of all ages engaged and the historical setting is incredibly accessible. Best of all, the strong, active female character of Inas was truly ahead of her time. I suppose this is why the book received Honors. I keep thinking about the various adventures, the setting, the idea that myths come out of facts. I'm really looking forward to getting this book into our local elementary school so that more kids can enjoy it and be exposed to its ideas. Wow, this is quite the rave! To nobody's surprise I've never heard of this book, but it looks terrific and I'm going to see if my library has it. It's such a bummer when great books go out of print. 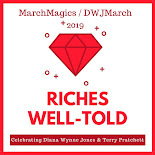 But, as DWJ fans, we already know this. If your library doesn't have it see if they will buy this edition...they might not know about it, but they should. I didn't even think about the public library but now I'm going to make sure they have it!